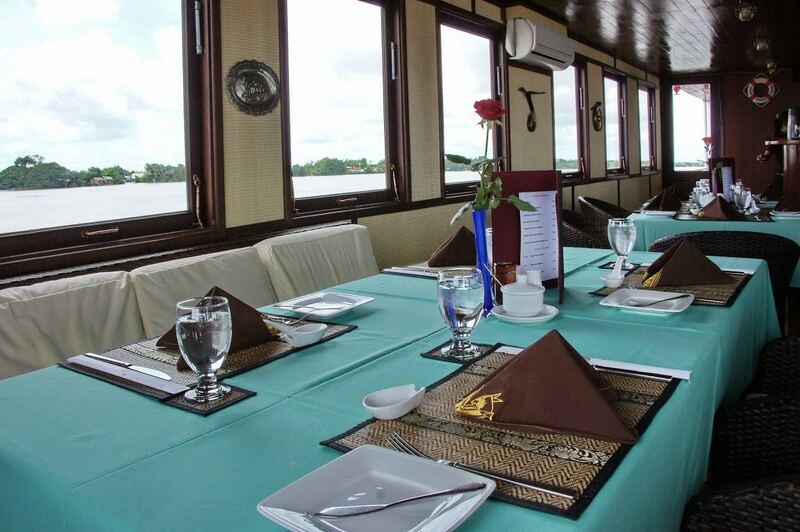 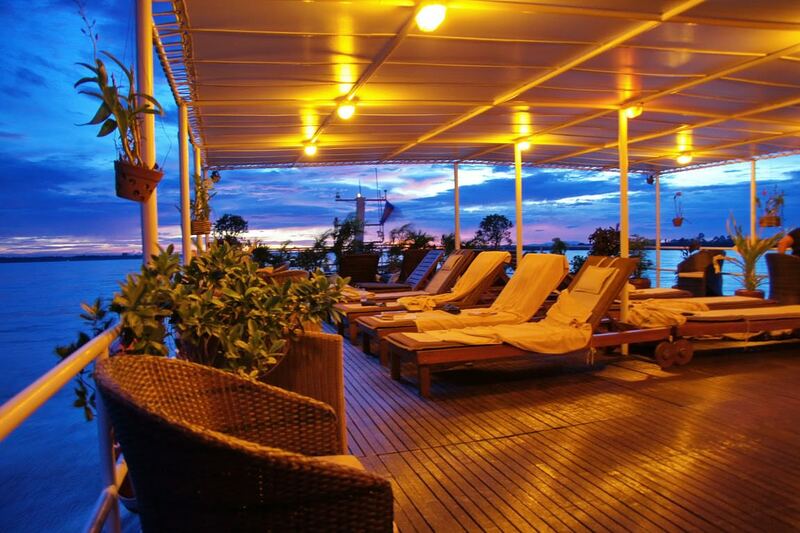 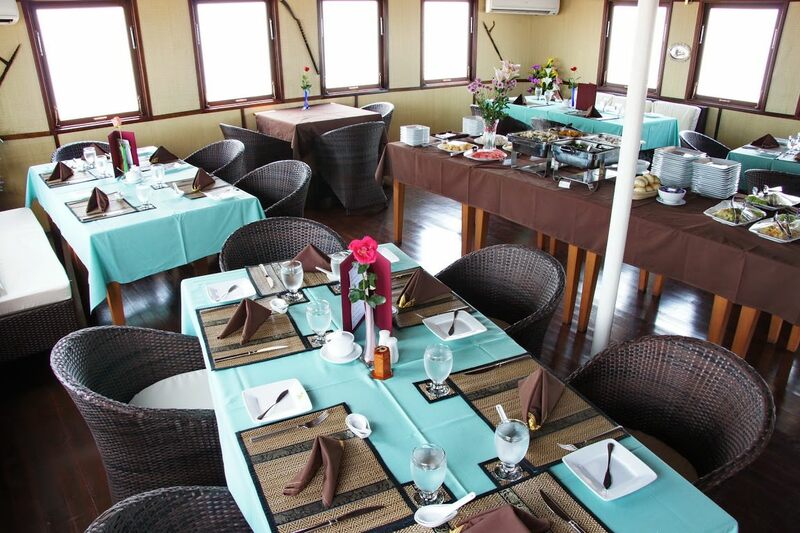 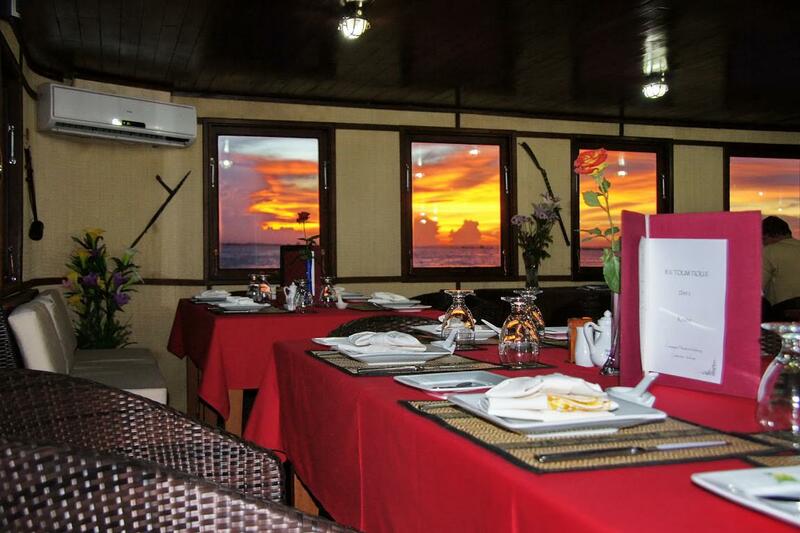 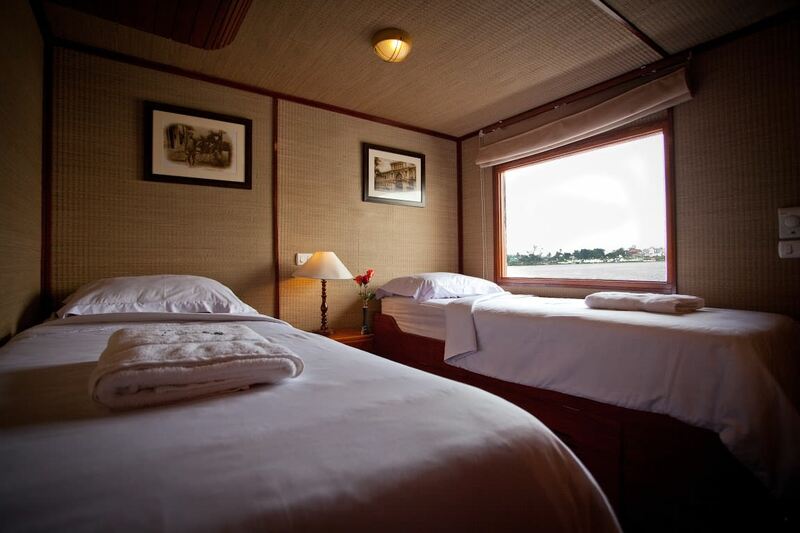 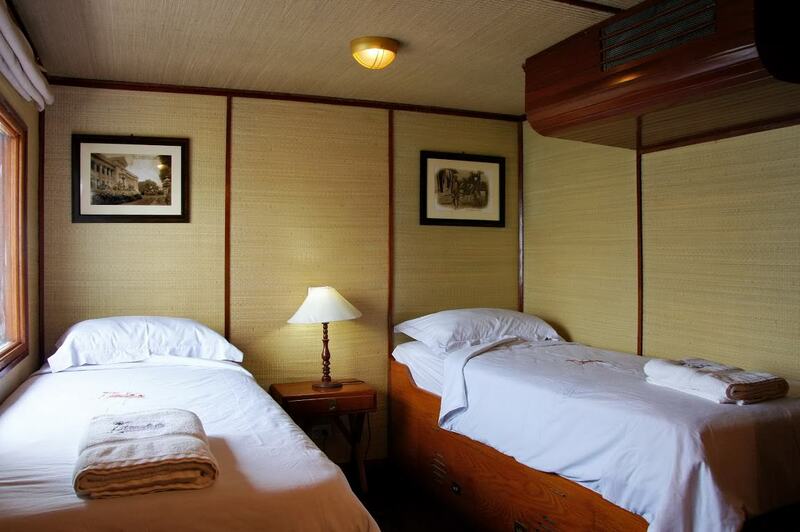 The Toum Tiou II, like its sister vessel, Toum Tiou I, differs from other Mekong river boats as it is able to offer a true cruising experience between Siem Reap and Saigon. 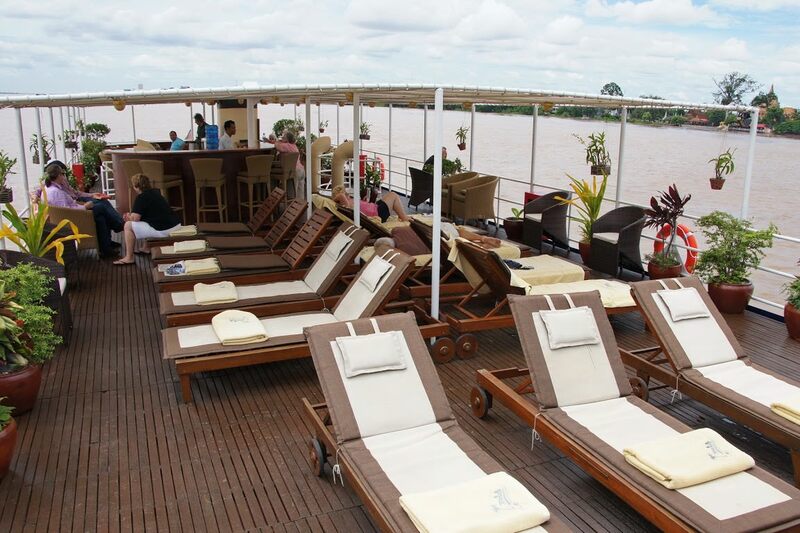 Not only can passengers sail the entire way on the river, but they also sail in close proximity to the shoreline, allowing them unobstructed views of the wonderfully rustic existence of the local people. 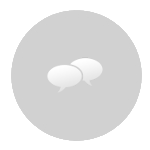 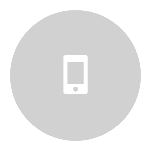 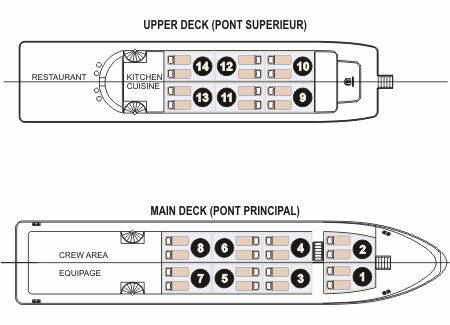 Other vessels are much larger and not designed for intimate navigation. 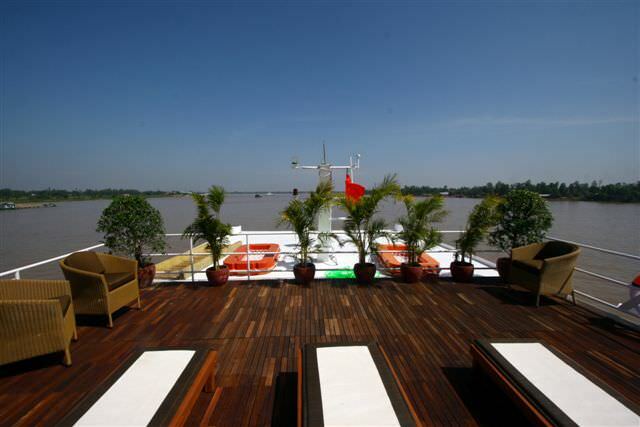 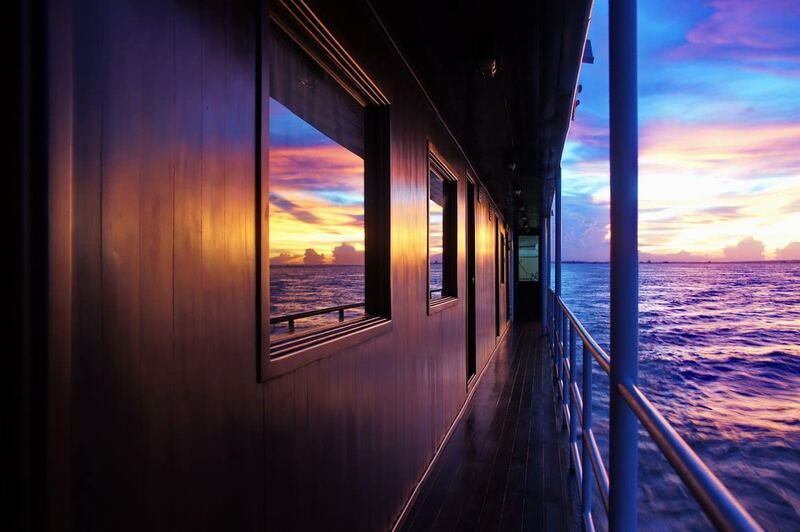 The Toum Tiou II offers an unmatched cruising experience of the Mekong with spectacular views of its fauna and flora and opportunities to observe day-to-day life of the people of Cambodia and Vietnam in close proximity. 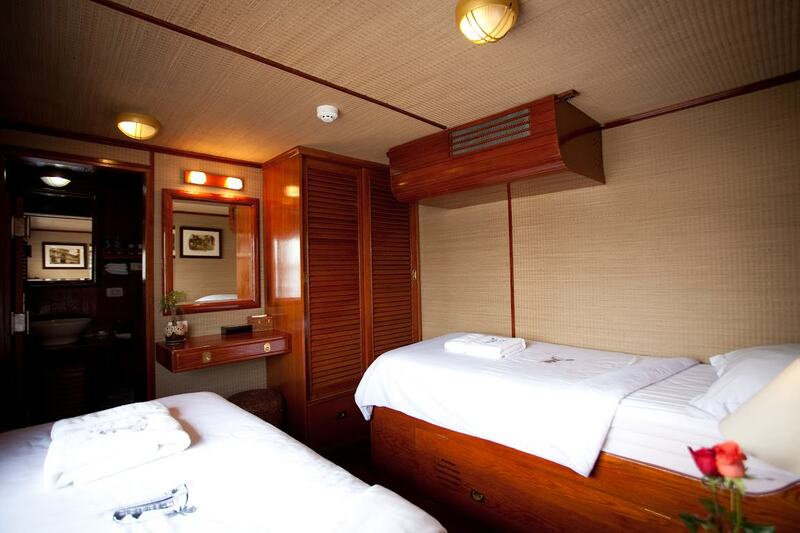 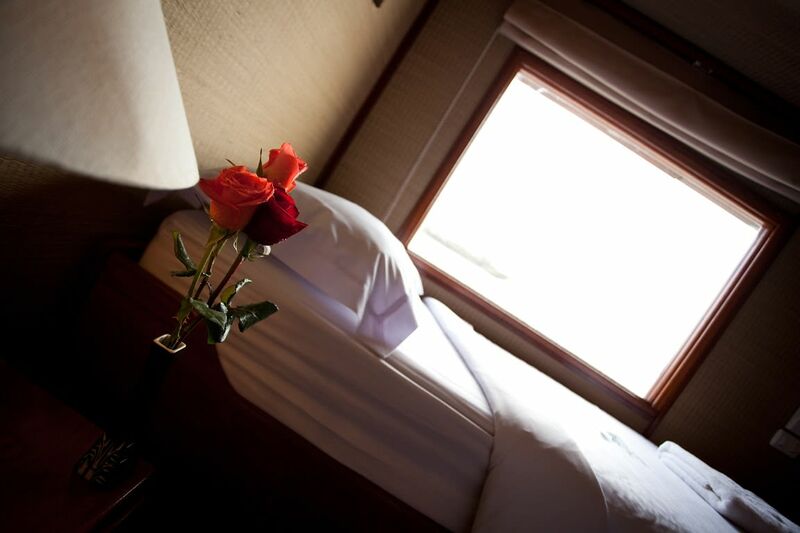 Larger than its sister vessel, Toum Tiou II offers even greater comfort with additional in-cabin facilities, including a private lounge area, air-conditioning, hi-fi system, an en-suite bathroom with hot/cold shower and complimentary tea & coffee. 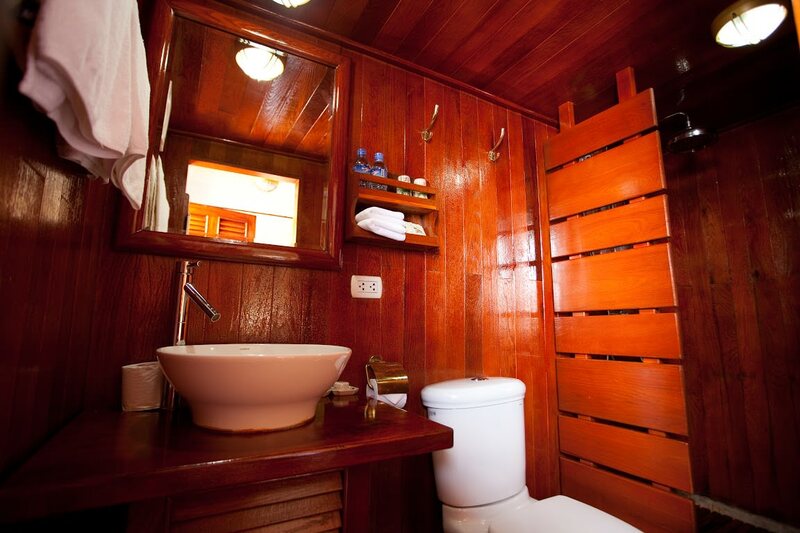 The 14 period-style cabins are fitted to the highest specifications with fine wood finishes.